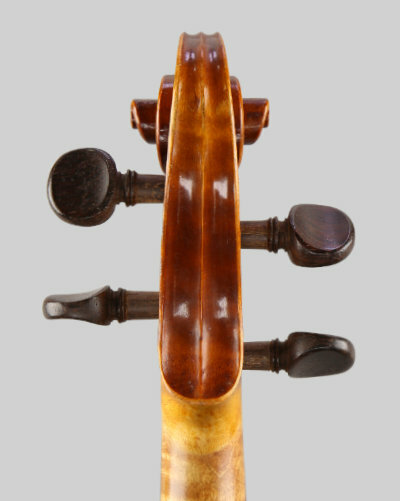 These are beautiful instruments made by an accomplished craftsman Louis Courtier, He was originally a pupil of Joseph Aubry and it is interesting to note the influence of Aubry in the construction of the violin. There is no damage or repairs, just varnish wear which gives the violin character. The back length is: 14.1/16 inches (35.7 cm.) 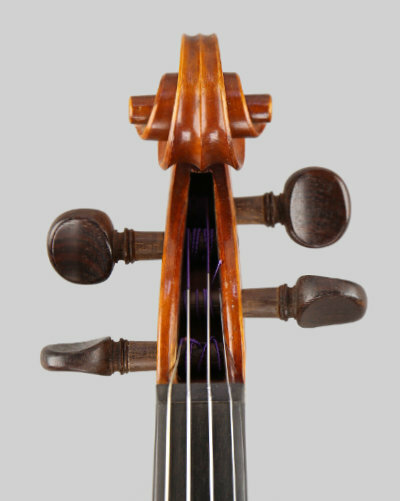 The violin still has the original rosewood pegs. Set up with Obligato strings and supplied in a new lightweight case. 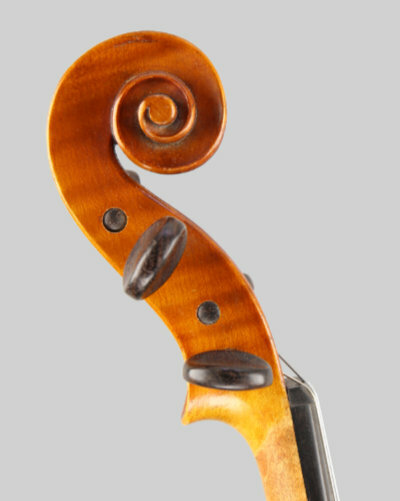 The violin has a lovely warm sonorous tone, good balance and a broad range of expression. Highly recommended and a pleasure to play!